Our fair nation’s weird approach to bottled water has just gotten weirder with one local supermarket actually charging more for a smaller quantity of the product. 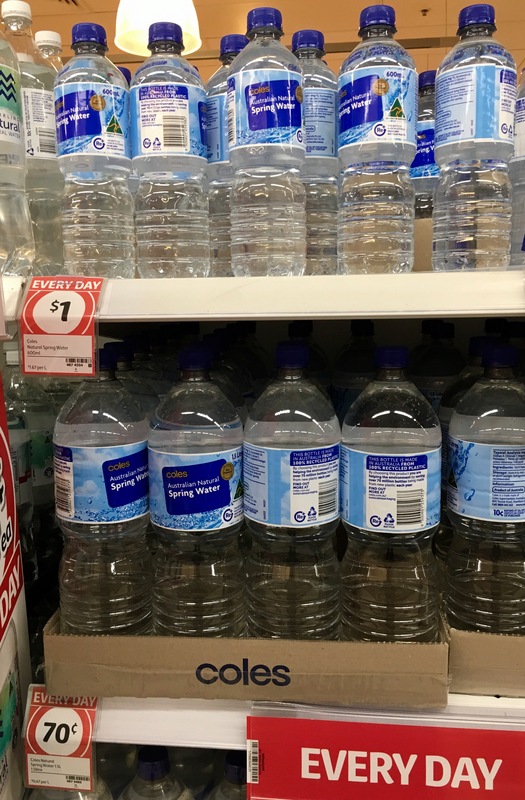 The supermarket is currently selling 600ml of spring water for $1 while 1.5 litres of exactly the same product retails for 70c. Although the official thought process behind the decision is unknown, we can only assume that it is attempting to leverage the increased portability of the smaller bottle, while accidentally showing us that we are being majorly ripped off. It is very hard to think of another example of where you are charged more for a smaller quantity of a product.